There are ten university partners in Canada: Carleton, école Nationale d’Administration Publique, Lethbridge, Ottawa, Regina, RMCC, Sherbrooke, Trent, Université du Québec à Montréal, and Wilfrid Laurier; and eleven from around the world: Autonomous University of Ciudad Juárez (Mexico), Ben-Gurion University (Israel), Radboud University (The Netherlands), Queen’s University Belfast, University of Eastern Finland, Université de Grenoble (France), University of Luxembourg, University of Southern Denmark, The University at Buffalo (SUNY), and Western Washington University. 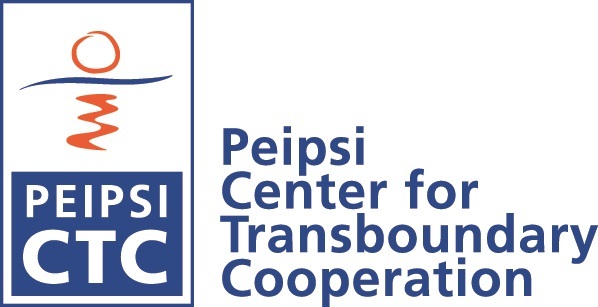 Several non-academic partners, such as Peipsi CTC. Borders in Globalization (BIG) is an innovative, integrative, and sustainable network of academic partners from Canada, the United States, Europe, Asia, and the Middle East, which is engaged with non-academic organizations that are involved in the management of borders and borderlands in Canada and worldwide. Border studies are global in reach, and so we ground our core partnership in Canada and associate with key research centers worldwide. This provides support for a global policy-research agenda that serves Canadian interests. The basic goal is to build excellence in the knowledge and understanding of borders. To this end, the partners will work together to create new policy and foster knowledge transfer in order to address such globalization forces as security, trade and migration flows, and also to understand the forces of technology, self-determination and regionalization that are affecting borders and borderlands in regions around the world. Activities: round-tables between policy makers and academics that inform all our work from its inception; Round-tables lead to research, policy forums, summer schools, conferences, policy reports, briefs and books, and inform both theory and practice related to orders. „EUBORDERREGIONS. European Regions, EU External Borders and the Immediate Neighbours. Analysing Regional Development Options through Policies and Practices of Cross-Border Co-operation"
EUBORDERRREGIONS is a research project, with objective to identify challenges to economic, social and territorial cohesion as well as regional development potentials in different borderlands at the EU’s external frontiers. - South-Eastern Europe / the Black Sea basin. The project contextualises development issues in selected EU “Borderlands” with regard to interaction between the EU and countries of the immediate “neighbourhood”. Within the context of these challenges, the regions ehere are struggling to define new opportunities for social and economic development and are also attempting to create greater capacities for territorial cooperation with other regions. The project is investigating the consequences of increasing cross-border interaction for the development of regions at the EU’s external borders and, in this way, contribute to scientific and policy debate on the economic, social and territorial cohesion within the EU.